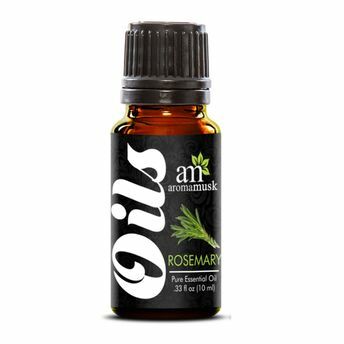 AromaMusk 100% Natural Rosemary Pure Aroma Essential Oil has a fresh, sweet herbaceous (medicinal like) aroma. Rosemary is often used in aromatherapy to provide both an energizing as well as calming mood lifting experience. This ancient essential oil is extracted from steam distillation process of fresh and natural rosemary leaves contains antifungal and antimicrobial properties. This essential oil can also act as an all-natural all-purpose cleaner to keep your home fresh and clean.